Just a few words on what is coming up. We started this label and distro without fanfare with a vision and a roster of creative partners that come from different genres and every sale helps us build on what we have. The more support we get, the better we can support our artists. 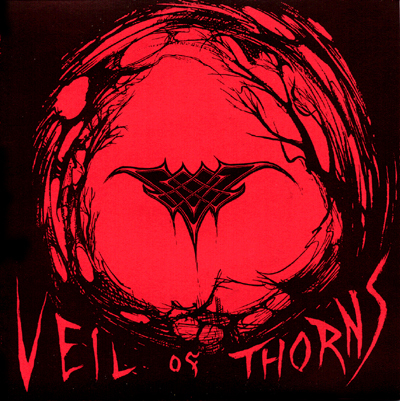 Things have been silent for a bit on the Veil of Thorns end for a bit since the long requested release of their soundtrack for NOSFERATU. Next week we will get the first of a series of singles from the band that show what has been going on in their gothronomic lair over the last six months. Much, much more than that is planned, but that will have to wait. Next up, we are proud to tell you that we have another great split release in production, this one is with CHORONZON and BALEYYG. This news was scooped on us over here, but we're very pleased. 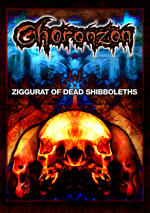 CHORONZON are familiar to many of you and having the rights to represent most of their back catalog is very cool. If you don't know BALEYYG, you soon will. The world to come is theirs and we are extremely happy to bring you this release. Those of you who have last year’s CHORONZON – FIAT NOX may hear a subtle shift in my sonic tapestry on that release. That came about in part from working so closely with Nic Le Ban on BALEYYG material. 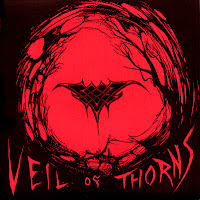 Having built a bit of a world in my creative sphere through CHORONZON, Veil of Thorns as well as adding elements of this as a spice to projects with SLEEPCHAMBER, MANES and more extensively as half of the kkore of KKAOGULAA it was very enlightening and expansive to my own art to step into someone else's singularly visionary universe. Beyond this, there is a CHORONZON/BALEYYG split release in the works! You heard it here first. Keep an eye on the PANICMACHINE label for this release, which promises to be an intense sonic magick adventure. Below, check out a great release from BALEYYG and read the info on it and you'll see and hear why this is going to be amazing. J3N is an interesting creative anomaly. It took over a year to make, and went through many creative lives and phases during that time. Initially the idea was to do a Floyd-like concept album within heavier elements of sound. What developed instead, was a diverse array of sonic imagery and non-linear constructs that literally channeled itself. BALEYYG material tends to have a dark-ambient focus, with elements of extreme Metal inter-woven within the open-ended minimalism. Among the BALEYYG releases J3N is unique in that it incorporates many of those familiar and heavier BALEYYG elements into the tableau of material within completely different ways. For this release, the lens of creativity shifted within the meta-cosmic and formless realms of creation and inspiration.